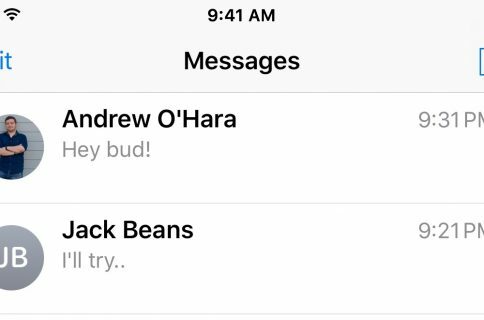 When someone sends you an iMessage on your iPhone or iPad, you can do way more than just reply to it; you can also send your reaction to the message, starting with iOS 10. Sometimes there’s no better way to show someone how you feel about what they’ve said than with some sort of visual effect as opposed to simply saying something back, and that’s why Apple implemented this feature. What kind of reactions can you send? For example, in the message above where the sender doesn’t know what reactions are, we’re going to send a “Ha Ha” reaction by tapping on it from the bubble. You can see how the reaction embeds itself at the top right of the chat bubble. Once the sender opens the conversation, they are going to see the “Ha Ha” reaction at the top right of the chat bubble, just like we did after sending it. In this example, we used the “Heart” reaction instead of the “Ha Ha” reaction, and you can see the little heart placed at the top right of the chat bubble. To send and receive reactions in all of their glory, you must be running iOS 10 or macOS Sierra. They will work across all Apple devices, including iPhone, iPod touch, iPad, and Mac. 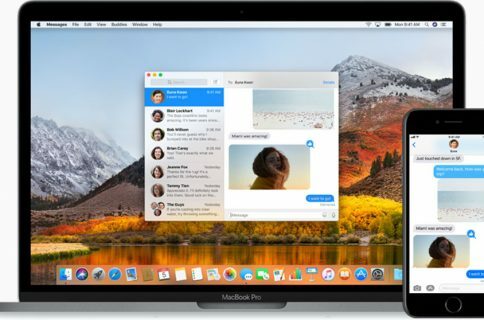 It doesn’t look as pretty as the reactions do, but they still communicate the point you’re trying to convey if the person you’re iMessaging doesn’t have iOS 10 or macOS Sierra installed. It’s worth noting that reactions don’t work with SMS messages, as they’re intended for iMessages only. You can tell you’re using iMessage when the chat bubbles are blue instead of green. 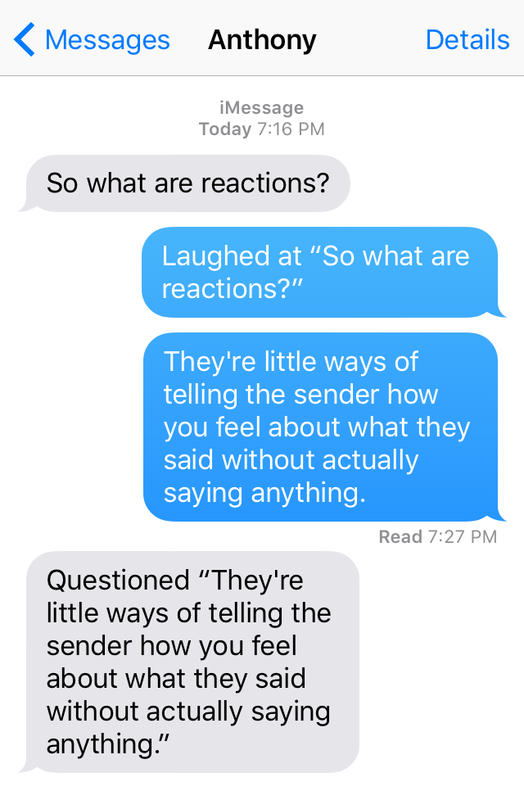 Attempting to send reactions to an SMS sender will result in a dialogue like the one shown above. Are you going to be taking full advantage of reactions while you use iMessage? Share in the comments!